Have you seen Vicki speak? Leave a review. 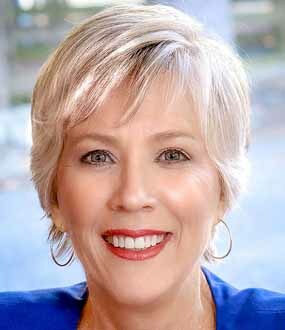 RN, Vicki Hess is consistently ranked among the top healthcare speakers in the country. 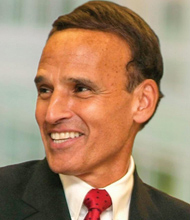 Drawing from 30 years of experience in healthcare and business, Hess shares powerful tools for motivating employees and transforms the way leaders and managers think about employee engagement. Hess is the author of four practical career guides including SHIFT to Professional Paradise: 5 Steps to Less Stress, More Energy & Remarkable Results at Work and 6 Shortcuts to Employee Engagement: Lead & Succeed in a Do-More-with-Less World. Vicki Hess, RN, is your go-to resource for improving employee engagement in healthcare. Whether you work in a hospital, health system or your members or customers work in healthcare, Vicki brings a unique view and powerful tools to transform engagement, one employee at a time. 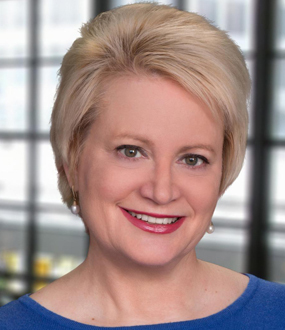 She has more than three decades of experience in business and health care that she brings to her keynotes on workforce and leadership development. Vicki is one of only 250 women in the world awarded the Certified Speaking Professional designation, the benchmark for the best speakers and a recognition of the high regard in which she is held as a speaker, facilitator and consultant. For four years, Vicki has been voted a top 5 Healthcare Speaker by SPEAKING.com, and this year she is a member of the SPEAKING..com elite Top 25 Speakers list. The holder of a BSN from the University of Florida and a Masters degree in Human Resource Development from Towson University, Vicki’s experience also includes five years as adjunct professor at Johns Hopkins University Graduate School of Business. Vicki has written four books, SHIFT to Professional Paradise: 5 Steps to Less Stress, More Energy & Remarkable Results at Work, 6 Shortcuts to Employee Engagement: Lead & Succeed in a Do-More-with-Less World, the 28-Day Professional Paradise Diary, and The Nurse Manager’s Guide to Hiring, Firing & Inspiring. In addition, her work has appeared in AONE Nurse Leader, American Nurses Association Nurse Today, Becker’s Hospital Review, H&H Networks, NurseTogether.com and other industry publications. Ms. Hess works with healthcare organizations and associations nationwide to mitigate the root causes of disengagement. While constantly monitoring industry trends, and doing research on her own, Vicki zeros in on what’s working (and what’s not) and customizes solutions to complement each organization’s culture and place on the engagement journey. She works with organizations and associations across the country to positively impact employee engagement through consulting, workshops, retreats and keynote presentations. Her unique views on patient & employee engagement are evidence-based, relatable and real world. Organizations that implement Vicki’s ideas experience increased productivity, safety, quality, retention, client satisfaction, creativity and more. 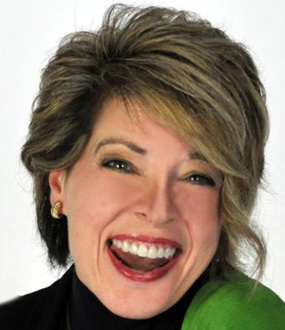 As a keynote speaker, trainer, consultant and author of 4 books; Vicki inspires clients to take action by sharing high impact, easy to implement ideas that transform the way people work. As a cancer survivor and victim of a surgical mistake she brings the voice of the patient into her programs. Ms. Hess holds a BSN from the University of Florida and a Master’s Degree in Human Resource Development from Towson University. She was an adjunct professor at Johns Hopkins University Graduate School of Business. Vicki has been voted a TOP 5 Healthcare Speaker by SPEAKING.com for four years in a row. You may have seen Vicki’s articles in AONE Nurse Leader, American Nurse Today, Hospital & Health Network, Becker’s Hospital Review, NurseTogether.com and other industry publications. Since founding Catalyst Consulting, LLC in 2001, Vicki spends the majority of her time working with healthcare organizations that are serious about positively impacting employee engagement and all other metrics they measure. Vicki’s customized, evidence-based programs and solutions are unique and specific for each client. She provides healthcare leaders and staff real-world strategies & tools to transform the norm by weaving the thread of engagement throughout all strategic and transactional elements of healthcare. 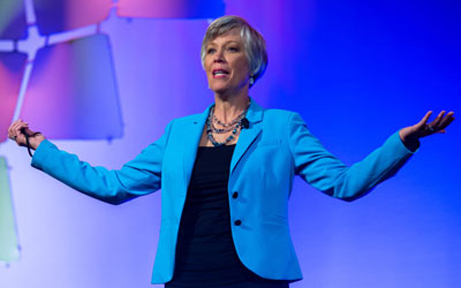 In her highly regarded keynote speeches, Vicki Hess demonstrates how leaders can create a state of high engagement in their workforce, once they re-energize themselves. She explains how organizational leaders often become entangled in the day-to-day minutiae of management and forget that the most important asset for their business is an engaged workforce. Vicki’s particular area of expertise is engagement in the healthcare workplace. Her experience in hospital and patient management (she has been responsible for non-clinical training and development of 6000 employees across a major health system) has taught her that the healthcare field has some completely unique problems. She demonstrates how employee engagement will increase discretionary effort, leading to increased patient satisfaction, improved safety and a downturn in lawsuits and employee relations issues. · Role model a state of high engagement with several specific ideas for re-energizing themselves. · Spread the engagement message to their team with exercises to take back to staff. · Create a lasting culture of engagement with an exercise that builds a broader view of organization-wide beliefs and mindsets. · Identify unproductive beliefs and mindsets about engagement which are holding the organization back. · Create shared responsibility for engagement across all levels of staff. · Outline strategies to weave engagement into the culture of the organization. · Demystify employee engagement and talk about it in terms that everyone relates to. · Describe the three critical components necessary for engagement to succeed. · Understand the key drivers for engagement in healthcare and how to positively influence them. · Share proven strategies to weave the engagement “thread” throughout current projects. · Role model a state of high engagement – with several specific ideas for re-energizing themselves. 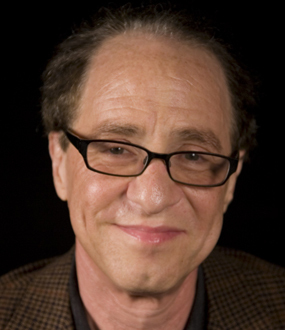 · Identify beliefs and minds that are holding them back from full engagement. · Demonstrate a proven 5-step process for transforming workplace challenges into positive outcomes. · Execute helpful techniques to develop and sustain strategies for managing change. · Implement ideas for creating positive relationships throughout your organization to smoothly reach your destination. · Utilize best practices for helping to enjoy the trip and the destination. In many organizations, HR is charged with positively impacting employee engagement without the strategic focus to back up the efforts. Hess says regardless whether someone is an HR leader, business partner, compensation and benefits expert, generalist, learning and development professional, recruiter or something else, everyone can play a role in building a culture of engagement. During this interactive, informative and inspiring program, Hess provides real-world strategies for creating a culture of employee engagement from the HR suite. Sharing proven ideas from her books, Hess reveals high impact, easy to implement strategies for impacting engagement at every level. After a “successful” program, the organization feels heard, leaders feel ready to implement an action plan and individuals feel inspired to lead change. HESS: My programs for leaders provide real-world, relatable tools and tactics for supervisors, managers, directors, etc., who want to positively impact employee engagement. I want them to understand their own unproductive beliefs about engagement and how they can work to change them. After a “successful” program, the organization feels heard, leaders feel ready to implement an action plan and individuals feel inspired to lead change. HESS: Preparation is a hallmark of my work. I spend a considerable amount of time and effort understanding the current engagement challenges and desired outcomes of my clients. In a hospital/health system setting this involves reviewing the Employee Engagement Survey results, conducting multiple phone interviews and sending an anonymous survey to participants so I can hear about challenges in their own words. My consistent & specific focus on healthcare leaders and staff means that I understand the global challenges they face. The Needs Assessment process provides insights into the local challenges. When I’m working with associations with a varied group of members, I conduct phone interviews with board or planning committee members and research the audience. My knowledge of healthcare provides a solid foundation for understanding the participants. HESS: Healthcare leaders at all levels and healthcare staff. I love the transformation that happens right before my eyes as folks reconnect to their passion for working in healthcare. HESS: For healthcare leaders: Why Your Employee Engagement Scores Aren’t Improving and What You Can Do About It. This is one of my favorites because the information I share flies in the face of conventional wisdom, challenging unproductive norms and giving audience members a way to look at things differently – a powerful experience for all. For healthcare staff: Thriving in a “Do More With Less” World: 5 Steps to Less Stress, More Energy & Remarkable Results at Work. In this program audience members leave feeling empowered to create their own Professional Paradise no matter what is happening around them. I love the transformation that happens right before my eyes as folks reconnect to their passion for working in healthcare. HESS: I’ve been a public speaker since 7th grade when I was the emcee at my school graduation. Helping people learn something new makes me feel satisfied, energized and productive and helps me create my own Professional Paradise. Having my own speaking business since 2001 has provided me with the opportunity to grow, develop and make a difference for healthcare leaders and staff nationwide. My programs are high energy and fun, promoting learning that drives lasting behavioral change. HESS: My sessions are very interactive, keeping the audience engaged every step of the way with exercises, music, humor, storytelling and case studies. I also utilize a variety of visual reinforcement techniques to help audiences learn and change. Overall, my programs are high energy and fun, promoting learning that drives lasting behavioral change. HESS: Clients often share success stories about improved employee engagement and decreased turnover, which are the two key measures of success that my audiences typically seek – and with good reason. In healthcare, increased employee engagement directly leads to improvements in safety, quality and patient experience. At a personal level, when someone says they have uncovered an unproductive belief that they are going to let go of, or they have the courage to have a conversation that they have been avoiding, that for me is a success. • Employee engagement challenges in the healthcare industry. • Changing the conversation about employee engagement. 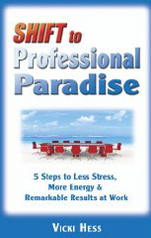 • How you and your staff can create your own "Professional Paradise." "The conversation truly changes when leaders start to talk about employee engagement because they genuinely care for individual team members." Vicki Hess worked with our physician practice administrative and provider leaders at a recent Engagement Summit. She and her team were extremely organized and thorough in getting to know us. We can now better coach other vendors on preparation for working with us. Vicki delivered a dynamic presentation that was high energy and engaged our leaders. We appreciated having the ability to customize the copies of her book which we provided for everyone. Having our logo on the cover and the special Foreword on the inside make it more relevant. The best news is that the conversations about associate engagement have continued after the conference and her books can be seen on desks throughout the office. We are talking with Vicki about additional support she can offer and we look forward to working with her again in the future. We had our bi-annual leadership event at TGH yesterday and we had a fabulous speaker. 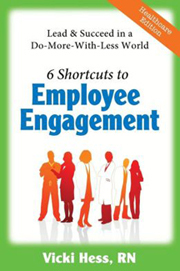 Vicki Hess has written several books about Employee Engagement (6 Shortcuts to Employee Engagement was one). My favorite part of her presentation was that she started out by saying “Your employees do NOT CARE about employee engagement” and ended by having folks really work through and challenge some of their negative beliefs that keep us from getting better. She was fun, engaging, and high energy (she was on stage right after lunch!). She would be a great speaker for physicians, as well. We engaged Vicki Hess to work with our leaders and staff to boost employee engagement. We were very pleased with her work. She is down to earth and relatable to all. Her tools were helpful and her stories were a wonderful way to reinforce the main points. She is a true professional. Following the sessions, the buzz has been fantastic. People are still talking about what they learned and how to implement it. We are planning to hold a study group using the concepts from her book about engagement. We found working with Vicki to be a great value for our money and highly recommend her services. Also, during the silence following a particularly rousing comment, a large lizard attached Vicki. Vicki deftly dispatched the angry reptile with a throat punch. The lizard (we found out later that his name was Frank) stayed for the rest of the session and vowed to employ all six strategies. He also promised to never again attack a motivational speaker. Vicki Hess spoke at our Nashville HR Workshop and we were blown away by how well our attendee’s perceived her presentation. Vicki received all “very satisfied” reviews which we haven’t experienced at a Workshop in a long time. Because of this we knew we had to sign a multiple Workshop deal with Vicki where she agreed to come to several other events throughout the country for US. 6 Shortcuts to Employee Engagement is a treasure trove of easy to implement, high-impact ideas for healthcare leaders struggling to keep employees engaged. Most leaders really do want to improve employee engagement – they just don′t have an effective method that works along with (rather than in addition to) all the other priorities in their day. Could you like your team to be fully engaged, achieve remarkable results and find fulfillment at work? It is possible and this book will guide your team in assuming personal accountability. Through real-world examples, exercises and interactive tools, your team will develop skills for connecting more positively with customers and coworkers, improving team productivity and finding better solutions to workplace problems. SHIFT is a practical, proven, five-step process for changing unproductive thought patterns, actions and habits. Employing the SHIFT process, your team will turn workplace POWs into WOWs and create a Professional Paradise they ve only imagined until now. Reading and implementing this powerful yet fun-to-read book for your team will make a difference – in attitudes, efficiency and your bottom line! Book is divided into three main sections: hiring, inspiring, and firing. The hiring section uses the “SMARTT” approach to hiring—S = Start With Strengths in Mind, M = Make a List of Behavior-Based Questions, A = Ask Questions and Listen Closely, R = Review Responses and Evaluate Candidate, T = Take Your Time Making the Hiring Decision, and T = Thoughtfully Bring the New Hire On Board. The inspiring section includes the practical Partnership Protocol. The Firing section includes all forms of severing the employer-employee relationship). Content includes ideas from practicing nurse managers and exercises to reinforce key concepts. A survey of nurse managers was used to define key areas of the content. Content is “real world” and writing style makes reading enjoyable.